With power outages across the Panhandle from Hurricane Michael, electric crews from our area are in place and ready to help. With power outages across Florida's Panhandle from Hurricane Michael, electric crews from our area are in place and ready to help. Trees are down and the power is still out for thousands of people after strong winds ripped through the area Wednesday. 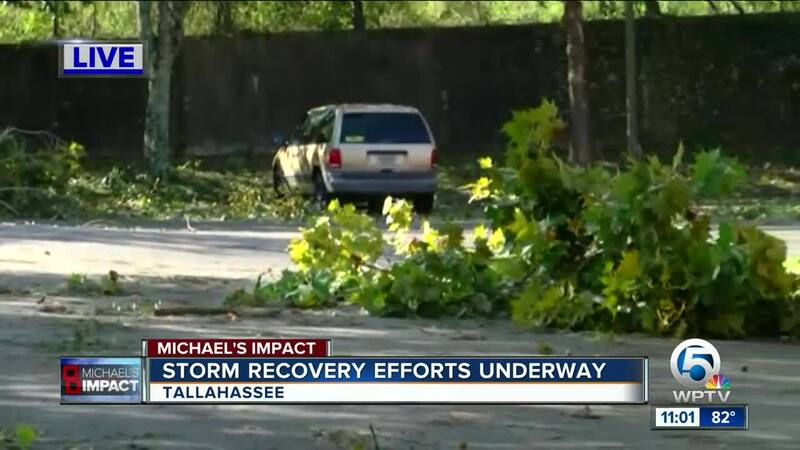 The city of Tallahassee says initial assessments show extensive damage to the power grid. But crews of linemen from across the country, including South Florida and the Treasure Coast, are ready to get the lights back on. This includes the Fort Pierce Utilities Authority, who sent linemen and equipment to North Florida on Tuesday in preparation for Michael. 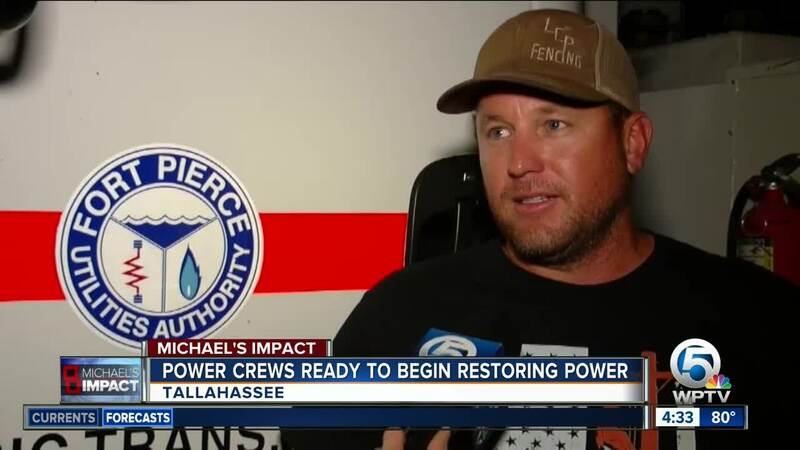 The crew rode out the storm Wednesday and now they plan to meet with the city of Tallahassee utilities team at 6 a.m. Thursday for a briefing before getting to work. “People come help us too, so we all try to help each other. The last storm we had Tallahassee actually came (to the Treasure Coast) and helped us. So, we try to help out everybody,” said Kevin Parrish a lineman for the Fort Pierce Utilities Authority. “There’s a lot of trees. We just did a little ride around looking around. It’s going to be a little hard, but we’ll get it done,” said Parrish. The city of Tallahassee says they have more than 20 different utility teams are here to help from as far away as Oklahoma, Texas and Louisiana. It’s unclear when the area could have power restored.